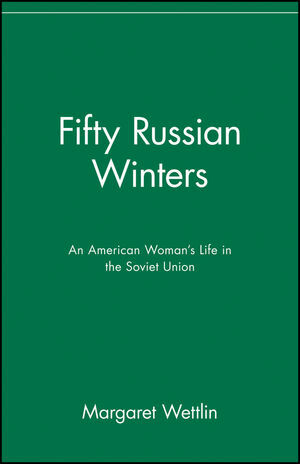 A gripping account of Soviet life as experienced by an American who lived for 50 years on an absolutely equal basis with Russians. Packed with details of everyday life from giving birth in a Soviet hospital to living in a Moscow communal apartment. Forced to give up her American citizenship during Stalin's reign, Wettlin was coerced into becoming an informant for the KGB. She describes what Russia was like during and after World War II, her travels from the Baltic states to Siberia, Outer Mongolia, Leningrad, Uzbekistan and Georgia. Her mesmerizing book offers a background for understanding Soviet events that molded the Russian mind--from revolutionary enthusiasm to a complete repudiation of communism. Margaret Wettlin was an American-born Soviet memoirist and translator, best known for her translations of Russian literature.